MUSCAT, Oman, 2018-Aug-15 — /Travel PR News/ — Oman Air, the national carrier of the Sultanate of Oman, has introduced a range of projects to ensure providing optimum support to families under social insurance families and those with special needs. Working in close co-ordination with the Ministry of Social Development, (MoSD) Oman Air aims to assist the eligible citizens in achieving their full potential. The airline has restated its commitment to sustainable social development and has pledged to continue promoting initiatives, which aim to develop and support people with special needs. The Ministry of Social Development makes the support of these citizens a major priority and it works to meet their needs on a daily basis. Oman Air’s support for the work of the Ministry of Social Development stems from its endeavours to support the community to deliver a positive, long-term impact within the less advantaged communities, and create a cooperative, united society in which all citizens are enabled to achieve their full potential. In pursuing this essential aspect of Oman Air’s mission, the airline has developed a genuine strong partnership with the Ministry of Social Development. For example, the national carrier offers a 50 percent discount for individuals travelling from families that fall under the social insurance programme and their accompanying person. This includes those who are travelling for medical treatment and study purposes. 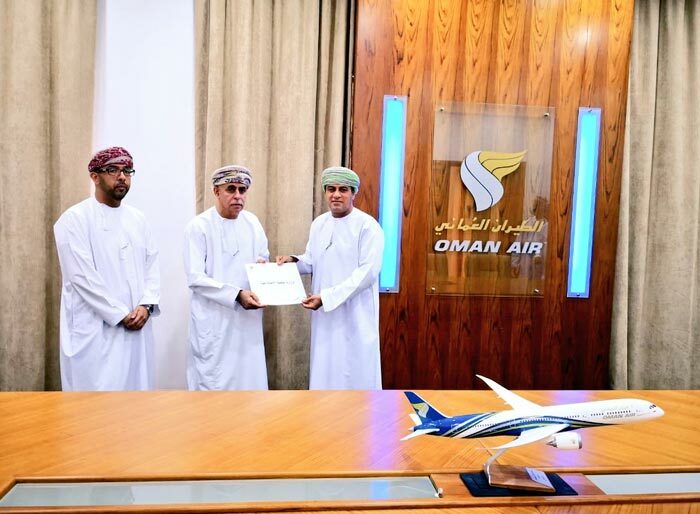 Also, new graduates from high schools in Oman are entitled to receive a 25 percent discount on return flights to enable them to continue their studies overseas, with baggage allowance of 10kg above the weight normally permitted. In addition, Oman Air recently introduced a new Senior Citizen Discount on flights, wherein Omani nationals can get up to 15 percent discount on domestic flight bookings. This entry was posted in Airlines, Society, Travel, Travel Services, Travelers and tagged Abdulaziz Al Raisi, MoSD, oman air, people with special needs, support. Bookmark the permalink.